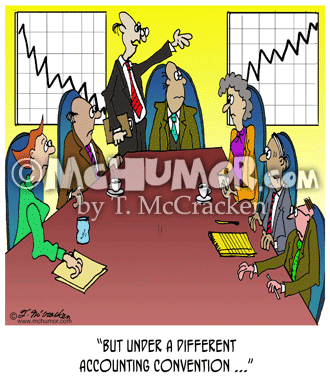 Accounting Cartoon 8374: A man in a business meeting with has two charts, one with a line going downward and one going up. 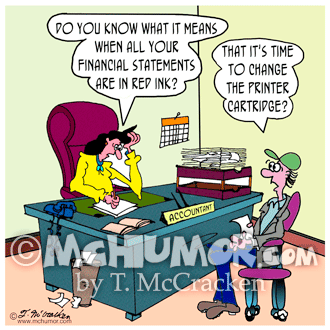 He says, "But under a different accounting convention ..."
Accounting Cartoon 8169: "Extreme Accounting." 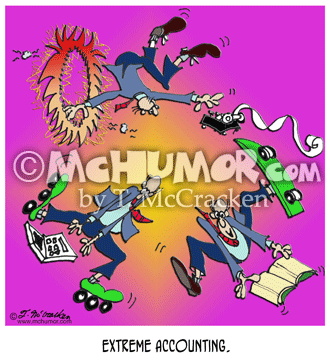 An accountant works on computers and files while skateboarding, leaping through hoops on fire, etc. 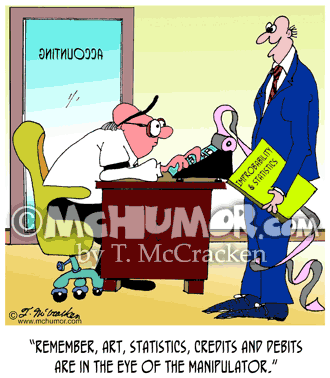 Accounting Cartoon 7155: An accountant holding a book, Improbability & Statistics, saying to another, "Remember, Art, statistics, credits and debits are in the eye of the manipulator." 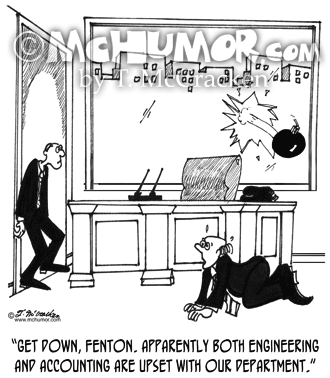 Business Cartoon 3333: An executive crouching behind his desk as a bomb flies through his window says, "Get down, Fenton. 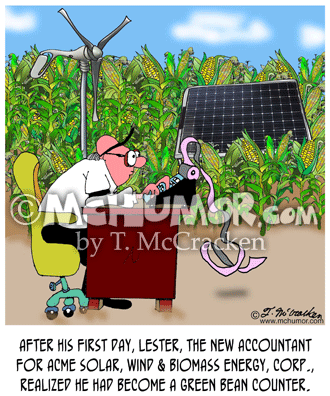 Apparently both engineering and accounting are upset with our department." 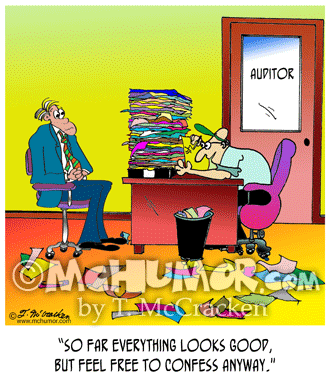 Auditor Cartoon 8993: An auditor says to a man, "So far everything looks good, but feel free to confess anyway." 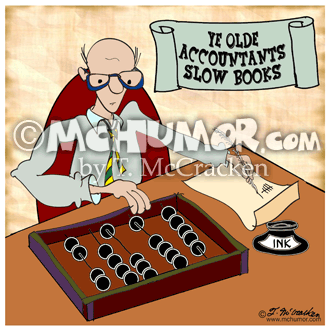 Accounting Cartoon 8606: "Fred wonders if he should go see what's happening in accounting." 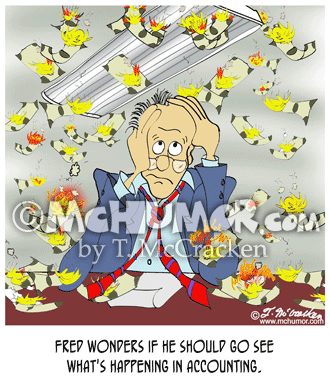 A man in an office watches burning money wafting through the air. 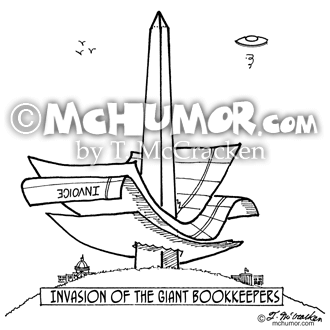 Bookkeeper Cartoon 2145: “Invasion of the Giant Bookkeepers.” The Washington Monument is used as a giant spindle for an invoice.